Hubstaff provides software application for remote team management. It provides software tool for all popular operating systems, so in this way the remote staff’s activity and time is tracked properly. It takes occasional screenshots of the activity of your employees so that you can have better idea of their productivity. It provides an awesome virtual office features, you can create multiple organizations, add projects, manage projects progress, and track your remote staff activity within one easy web interface. 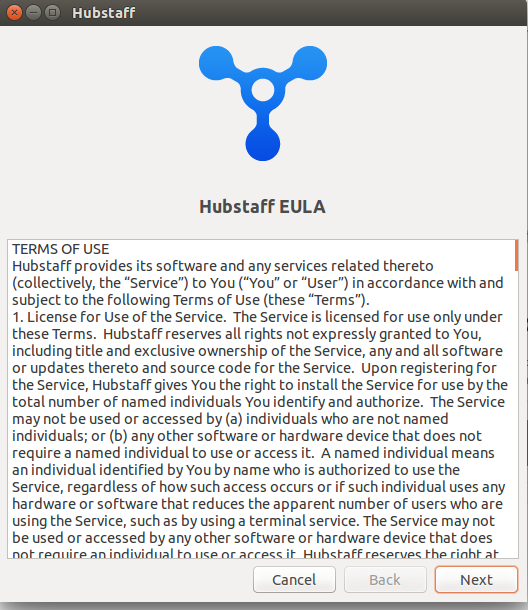 Your remote staff needs to install Hubstaff desktop software on their end so in this way, their activity and screenshots are recorded on hubstsaff servers and you can view them whenever needed. 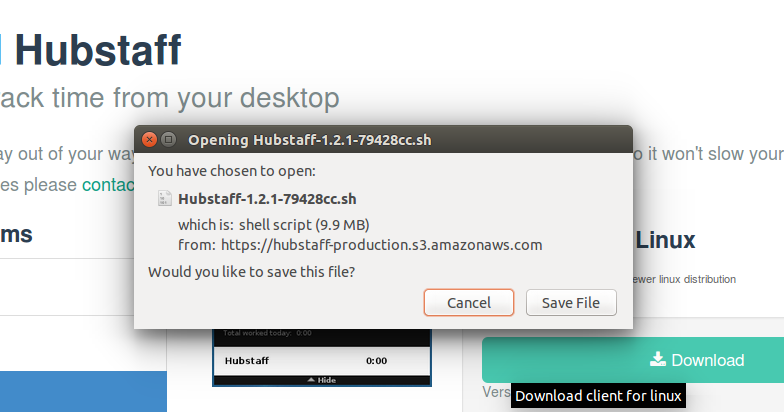 As soon as the download process is complete, launch your terminal and go to the download location. 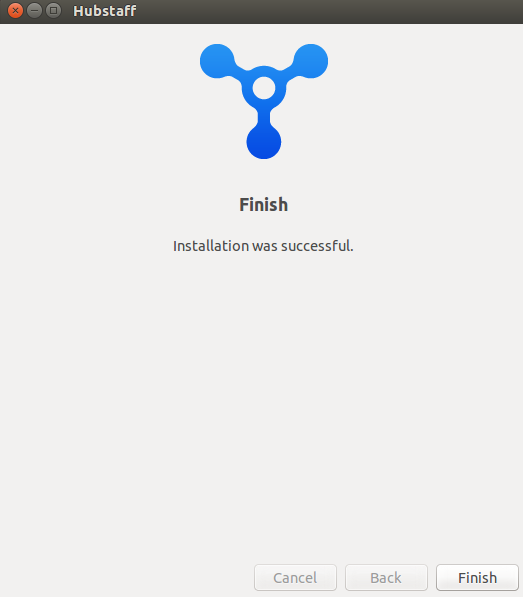 Here simply run following command to start the installation process. Replace the exact name of the script if you have download any different version of the script. That’s all, further installation process will be graphical, on very first screen review the license agreement and click “Next”. On next step, accept licene agreement. 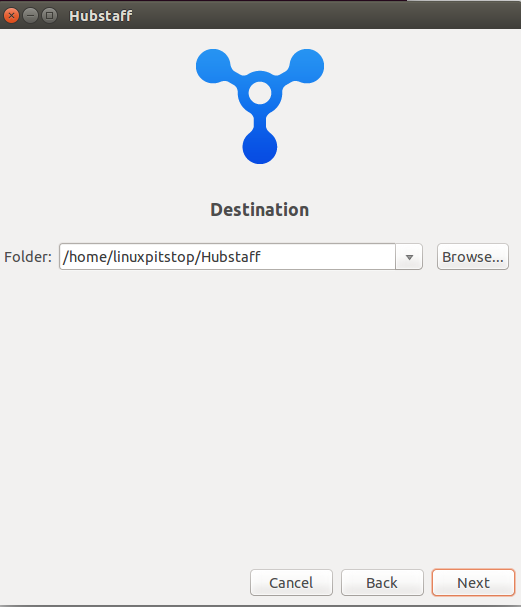 Specify destination directory for Hubstaff. Default choice will be home directory of your current user. 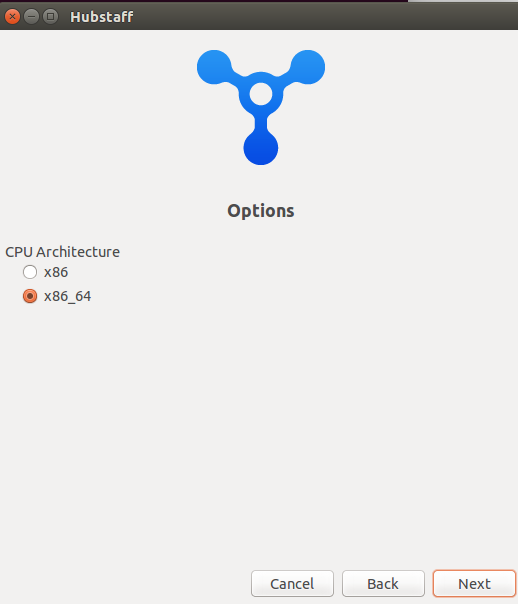 Select your CPU architecture from here. X86_64 for 64-bit architecture and X86 for 32bit. Congratulation, installation has been completed. It will immediately launch a login prompt, Provide your hubstaff account credentials here and start using this time & activity tracker right from your linux desktop. 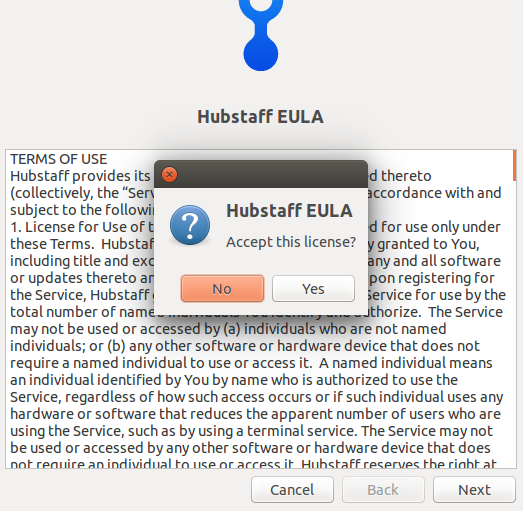 Hubstaff desktop client is available for Microsoft Windows, Linux and Mac OS. It works flawlessly once installed successfully and is a lightweight utility with almost minimum resource consumption.